Bell Flow Systems offer a wide range of remote monitoring systems for use in ground water applications. 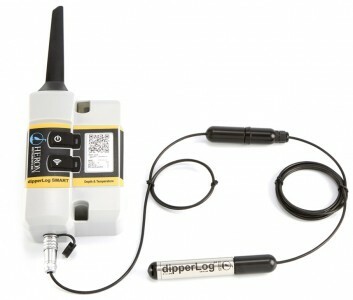 Our packages typically consist of a water level logger which records water level (depth) and temperature. Water level is typically recorded via an integral hydrostatic level sensor. We offer level range on our systems from 10m to 120m, with options for vented and non vented systems. GSM / GPRS essentially is a system which uses the local mobile phone network to provide communication to the telemetry device, and allows data to transmit remote. These systems will typically utilise a SIM card which allows for the remote data transmission over the mobile phone network. Typically this type of system is very good for remote location where power or hard wire data access may not be available, as the systems are normally battery powered. Our Leveline EWS for example also has the added advantage of having a subscription free data service, with data been sent to the user via email or SMS. When opting for a GSM/GPRS system you must consider if the mobile networks in your area will be suitable for the equipment, if mobile signal is poor or not available a test may be required. You must also consider that there will be an ongoing charge for the SIM card. Wireless Radio Solutions utilise radio specific frequencies to transmit data over long distances. 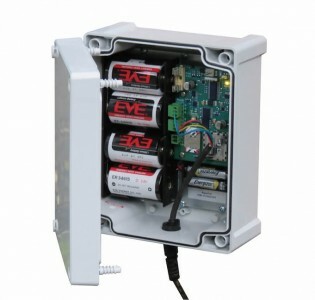 The systems we offer utilise a node, which collects data from a water level and temperature sensor and transmits this to a gateway, connected to a tablet. The range of the nodes is normally 10km line of sight. This type of system is very well suited to application where you have multiple monitoring points, sometimes called a mesh network. In the case of our Dipperlog Smart system the units also offer the advantage of no ongoing data subscription or transmission costs, therefore once the equipment has been purchased there are no hidden yearly or monthly charges. When selecting this type of system we normally recommend having a mains power supply to power the gateway, and connection to a Wifi Network, as data is transmitted to a tablet. This in turn uploads information onto a cloud based platform. Built in pressure sensor for barometric compensation.